Chuck Baldwin: Right Or Wrong Concerning The History Of Religious Freedom? This article is not meant to condemn, but to alert Brother Baldwin and those who follow him. This author voted for Baldwin when he ran for president in 2008 on the Constitution Party Ticket. Since then, he has become somewhat familiar with the teachings of Baldwin. 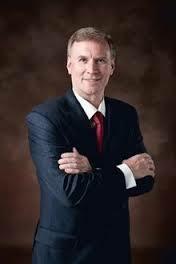 This author believes that, from all he knows about him, that Chuck Baldwin is a sincere pastor. He has a considerable following, and his goals are worthy, yet unattainable since not according to Bible prophecy and historical accuracy. This article alerts the discerning reader only as to Baldwin’s historical revisionism. This author invites anyone to read the writings linked to below; he is very willing to discuss the accuracy of his and Baldwin’s historical teachings. We should all seek truth as to these most important matters. Of course, there were no IRS with its agents. However, there were established churches in the colonies and in the United States at the beginning of the nation. Many preachers and other believers were severely persecuted in the colonies for meeting and preaching outside the auspices of the state churches; and not everyone regarded non-state church preachers as being “God’s men” as shown by the persecutions of these so-called “heretics” by the church-state establishments. Go to the links below more on the true history of religious freedom in the colonies and early America. The true history of America and the American colonies absolutely demonstrates that Chuck Baldwin, like this author from the 1980’s until 2005, has accepted the historical revisionism that has been disseminated to American believers. Every so often, at least since this author was saved in 1982, another revisionist history book is printed and promoted by “Christian” media; and many Christians buy them, read them, and believe them. Then, they publicly repeat the revisionist view which then becomes an important part of Christian argumentation on the street, in the church, in the courts, and in civil government circles. All the while, Satan is amused by the gullibility and ignorance of American “Christians” while God is grieved. Read the following for an introduction to accurate history concerning religious liberty and the First Amendment. The true history of America reveals that the persecution of those whom the state churches of Europe called “heretics” continued in the American colonies. Only through the sacrifice of our historic Baptist forefathers was America to add “religious freedom” to the Constitution of the United States. This is historical fact, and one must understand the spiritual battles which believers have fought as well as the persecution and martyrdom of believers starting with John the Baptist, Jesus Christ, the apostles, the early Christian martyrs, the martyrs who were relentlessly tortured and killed by the Catholic church-states and then the Protestant church-states, and those who were persecuted by the religious establishments in the American colonies can he fight spiritual warfare on solid ground. Successful warfare must be founded upon correct Bible, historical, and legal knowledge and implementation of that knowledge according to understanding and wisdom. As proven by his prolific public writings and teachings, Chuck Baldwin does not possess that knowledge, wisdom, and understanding. Therefore, churches should never seek the help of Chuck Baldwin with any spiritual matter unless he repents and revises his history and Bible doctrines to conform with truth. 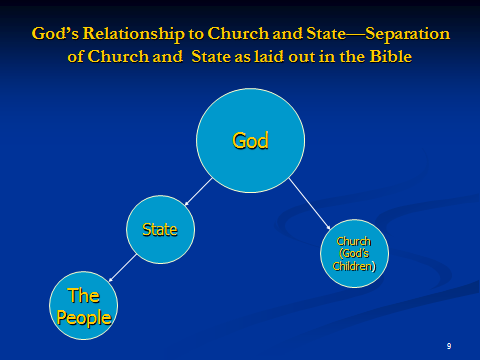 Of all the examples I know – and there are more than you might think – none other states more clearly within the law the extremity of change which a church undergoes when she freely elects to incorporate Christ under the state than the case of this “once a church under Christ now a corporation under Caesar” known as the State Street Baptist Church. However, she is not alone. Sadly, the State Street Baptist Corporation shares her fate with thousands of other such legal entities in America today who have traded their holy birthright in Christ for a mess of corporate pottage. It just so happens that in this particular case the judge chose to use language that only a third grader or retarded adult could misunderstand in order to make his point. It’s really that clear. No less hideous or spiritually grotesque than a Frankenstein monster, the body of Christ becomes legally trans-mutated into what is known in law as an artificial person when her primary identity becomes fixed in the secular (anti-Christ) state through the process of incorporation. Whether you like it or not, this is simply the unbiased truth about corporate religion and the reason why it is such a putrid stench in the nostrils of our Righteous and Holy God, Jesus the Christ. All churches, mosques, temples, denominations, religions and even witches covens – regardless of their beliefs – for all legal purposes become One under the Beast via the process of incorporation; and for all practical purposes become united possessing equal status under law as common members of the official state church. Let that one sink in for a minute! Consequently, Christ cannot remain Lord over any such reprobate body after they have incorporated – the law will simply not permit it! And while you may believe most sincerely to the contrary, I can assure you, should your incorporated pastor ever go before the magistrate, he will bow in submission, for his contract – his unholy coven with the Beast – has obligated him to do so. As I said earlier, the decision handed down by the appeals judge in the State Street Baptist Church case says it probably better than any other court ruling I’ve seen. So here’s the history: The church was establishment during the Civil War era and operated as such until 1980 when they decided to incorporate under the state as a 501 (c) (3) religious corporation. Afterwards, when some members attempted to schedule a business meeting others objected and a feud over notification procedures for meetings arose. And so, unable to settle matters between themselves, they simply did like all good corporationists do – they filed a law suit against their church brothers and let Caesar rule the matter. Here, in the case titledHollins v. Edmonds, is what the appeals judge ruled in clear, unambiguous and full disclosure for all the world to know and understand. “It is the general holding of this court that those organizations choosing to incorporate under the requirements of Chapter 273 must comply with the requirements of the law. Specifically, we hold that the statute requires that written notice of meetings be given to members of the corporation and that bylaws must be adopted.” Hollins v. Edmonds, 616 S.W.2d 801, (1981). As I said before, after reading the judges ruling here and in other similar cases, anyone who doesn’t understand that Caesarand not Christ is lord over the (counterfeit) “artificial persons” which are innocuously referred to as religious corporationssimply has to be either retarded or knowingly in denial of the truth… you decide. Dire as the situation for incorporated churches may seem, in His mercy and grace the Father has provided a way out through our Lord Christ Jesus and His Kingdom. That is the subject of my latest publication titled, Backing Out of the Minefield of Incorporation. This is a brief but essential reference source for pastors and church leaders who are no less than 100% dedicated to the Lordship of Christ and determined to breakout of Caesar’s choke hold in a accordance with the New Testament. I currently have eighteen copies that are available to anyone who will send a gift as the Lord may direct them. If your situation is such that you currently have no gift to send, please contact me and I’m confident our Lord will find a way to make it happen. If you are serious about transitioning out of Caesar’s venue and into the Kingdom of God in Christ Jesus, I will work with you through the process and share my knowledge and wisdom as the Lord has blessed and given it me. I cannot make it any easier for you than that. From IRS Publication 1828. Click the above image to go directly to Publication 1828. The IRS publicizes their interpretation of IRS Code. On page 3 of IRS Publication 1828 states that “churches which meet the requirements of § 501(c)(3) are automatically considered tax exempt and are not required to apply for and obtain recognition of tax-exempt status from the IRS” [Bold emphasis mine]. The IRS repeats this on page 24 of IRS Publication 557, “Tax-Exempt Status for Your Organization.”Under the heading “Organizations Not Required To File Form 1023” churches are listed.” The following paragraph is included: “These organizations are exempt automatically if they meet the requirements of section 501(c)(3).” A church which meets the requirements of 501(c)(3) is – by the rules which are included therein and also by the rule against doing anything that violates fundamental public policy which was added by the IRS, not by law, and upheld by the United States Supreme Court – is thereby prohibited from freely exercising her religion because she is prohibited from doing and saying certain things.